Hello everyone! 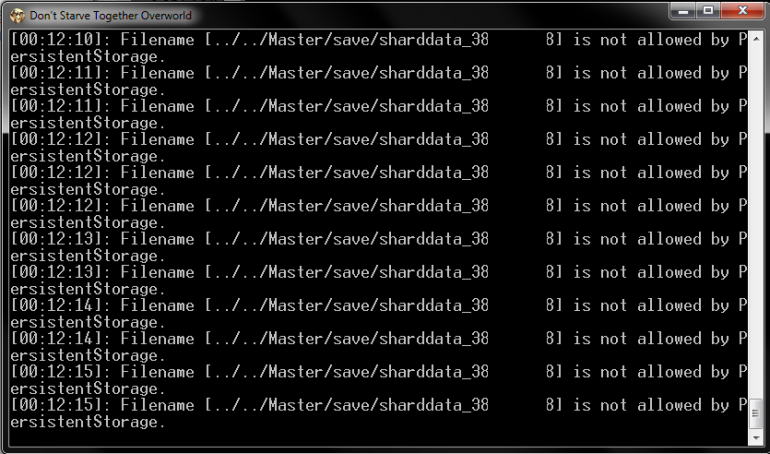 I have a problem because after starting a dedicated server in the console, I get this problem "Filename is not allowed by PersistentStorage". I havn't noticed any problems so far, except for terrible looking logs. I turned off all modifications and the message still appeared. I was looking for help in the Internet, but I did not come across anything specific. Someone had that and knows how to help or is it a riddles? 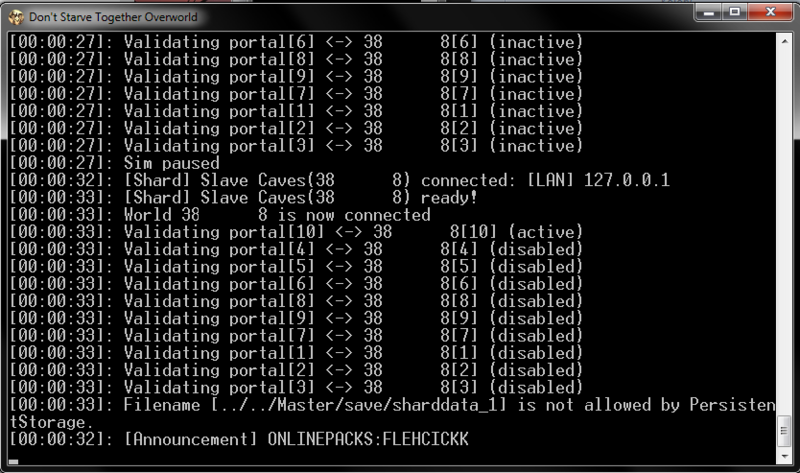 I will add when creating a server I worked with a guide on steam from ToNiO and Gingercook - LINK. 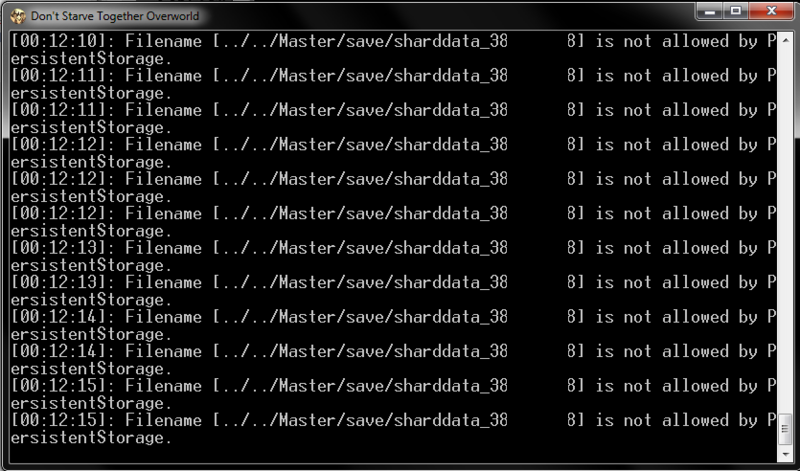 Additionally, under the path /Master/save I don't have a folder or any file named sharddata_1 or sharddata_serverID.